Where is Antelope Park located? Antelope Park is 15Km from the Gweru Central Business District. As you go out on the Bulawayo road, over the Flyover, you will see the Antelope Park sign on the Main Road. What transportation can I use to get to Antelope Park? A private vehicle of course. The Luxury coach Liners ‘City Link’ and ‘Extra City’ offer comfortable and affordable transport to Gweru Town from assorted cities within Zimbabwe. You can book on their websites. Please notify Antelope Park before your arrival so we can organise transfers to our Lodge. Yes, we accept RTGS, ECOCASH and have swipe facilities. Our rates are in USD and locals can pay in the RTGS dollar at the current exchange rate of the day. What amenities does Antelope Park offer? A Café which offers a wide assortment of Hot/Cold beverages plus a delicious a la carte menu. Is there WIFI at Antelope Park? Yes, we have fast FIBRE Internet at our Lodge. Coupons can be bought at our reception. Are their Honeymoon and special packages available? YES! Please visit our Packages section on our website plus our blog section to see if there are any specials available during your stay! Zimbabwe has a tropical climate, dominated by the wet and dry seasons. You will need to bring outdoor clothing preferably neutral in colour as well as a hat and sunblock. Although winter can experience some cold mornings and evenings, it usually stays relatively mild during the winter. Some warm clothes will be required for early morning drives in an open vehicle and bush walks. SEPTEMBER – NOVEMBER: Hot dry season. Hot days mean pack lots of comfortable clothes for warm weather. DECEMBER – APRIL: Wet season. Days and nights can get very hot and sticky. You need light clothes although there might be a day the temperature drops so ensure you also bring a sweater. It’s a time of heavy rain, so bring a raincoat but it’s also a wonderful time in Zimbabwe and Zambia because everything turns green. MAY – AUGUST (WINTER): Cold dry season. These are the cooler months and temperatures can be very chilly in the evenings and early mornings. You will need a jacket, gloves, a scarf and a warm hat. But don’t let this put you off, this season is a perfect time for game viewing and sitting around the campfire. Can I use Antelope Park as a private Venue? Yes, we have the following facilities available to suit a wide array of Events. Please can I have more information on the ALERT? Yes, please visit our reception for an information brochure and our management are available to answer any and all of your questions. Bulawayo Airport is 1.5 hours from Antelope Park. Harare International Airport is located 5 Hours from Antelope Park. The prices quoted are always per person for Bed & Breakfast (or other package options) is always important to check for the most comfortable type of room. Is a Loyalty program offered? 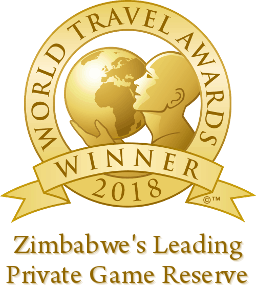 Yes, if you have a ‘Inns of Zimbabwe’ card you will receive a 10% discount on accommodation. You can also purchase these cards at our reception. What's the difference between a twin & a double room? What is Antelope Parks cancellation policy? 3. 11- 20 days – 75% of deposit prior to arrival. Which days of the week are the themed dinners? Can I get Malaria while staying in Gweru? No Gweru is a Malaria free area.